The Atmegatron uses an FTDI programmer cable to upload new software to its microcontroller. Programmer cables can be purchased from the web store. Download and install the appropriate drivers. This is important, even if your computer thinks it has recognised the cable. If your operating system isn’t listed, please search the FTDI website. Next insert the programmer cable into the USB of your computer and the 6 pin header of the Atmegatron. The black cable should be on the left when viewed from above. Slide the programmer switch on the Atmegatron to the left (when viewed from above). 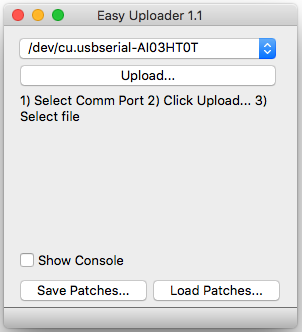 The Easy Uploader is the app used to upload software to the Atmegatron. Download the appropriate file and install. Once installed, run the app (making sure the programmer cable is already connected. Once the software has booted, select the COMM Port of the programmer cable from the combo box. It is often the bottom option. Click the Upload… button. Select the .hex file which you wish to install. The .hex files are available below. The software takes 20-30 seconds to upload. Once completed flick the programmer switch back again, to enable the MIDI ports. You can now remove the programmer cable. 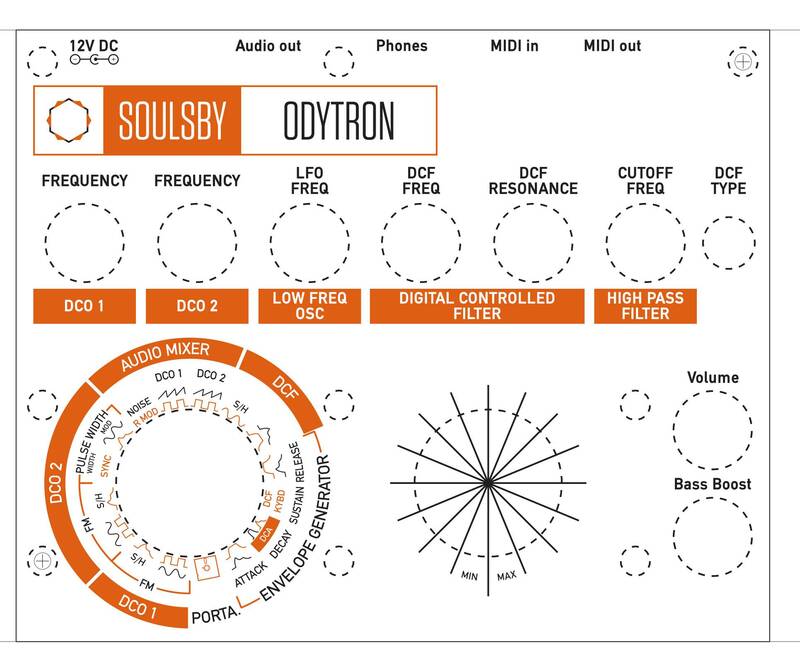 If you have any issue uploading software, please check the “show console” box, then copy and paste the text in the console window to a new thread on the Soulsby Synths forums. Each software version has it’s own overlay. These can be downloaded and printed out, by right clicking the thumbnail. 3 software versions have professionally printed overlays, which are available from the web store. This is the standard audio engine which ships with all units (excluding Odytron Special Editions). Version 2.1 ships with all units with serial numbers from 1000 onwards. Older units ship with versions 1.1 to 1.4, depending on age. Analogue Modelling synthesizer. Get the spec of a classic analogue synth, but in an 8-bit environment! 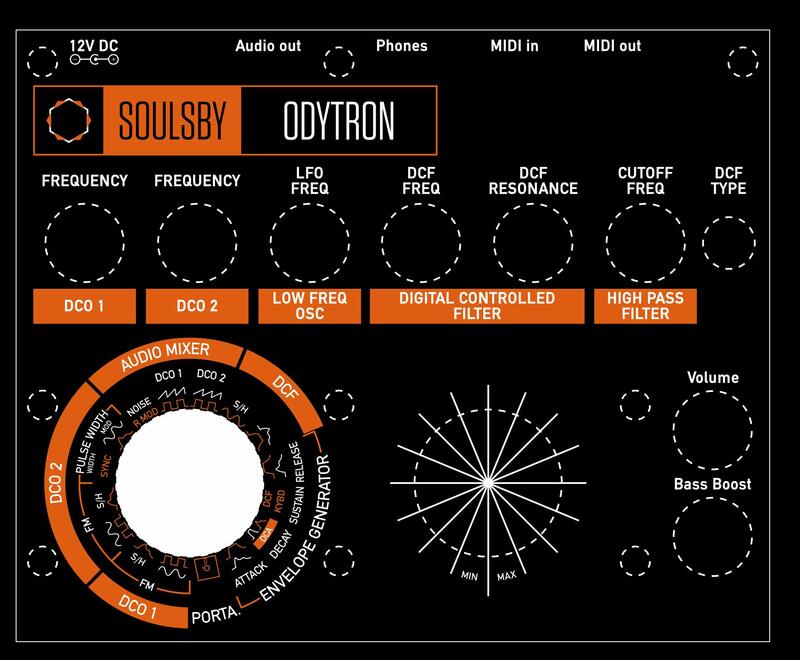 V1.0 of this software ships with all Odytron Special Edition synths. Wavetable cycling synthesizer. Can create effects similar to the PPG wave by playing 4 wavetables in turn. See this tutorial for more info. 16 part, 16 step, 8-bit sample drum machine. See this tutorial for more info. Create crazy sci-fi delay effects. Also features a different selection of 256-sample wavetables. See this tutorial for more info. Dual oscillator Atmegatron. Adds a 2nd oscillator. Please note that the synthesis method is different to the Atmegatron software, so this should be thought of as an alternative rather than upgrade to the Atmegatron. Strings is a 4-voice polyphonic audio engine. Featuring 16 different waveforms with the option of a different one on each voice, 2 different types of phaser, the LFO and Arpeggiator from the Atmegatron and a wave cycler. 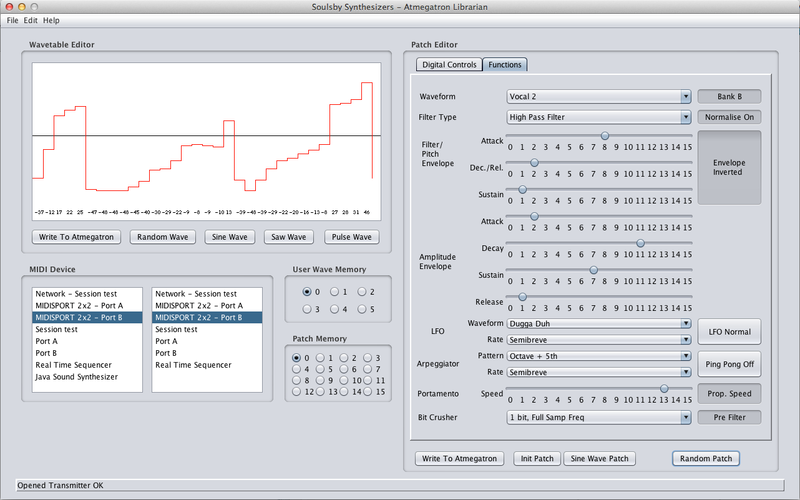 The Atmegatron Librarian software allows the patches and user waveforms to be transferred to and from the synth. It also allows user waves to be created from .wav files or drawn. The entire memory (6 user waves and 16 patches) can be transferred to and from the synth and saved to hard disk. It is possible to use your own samples in the Atmegadrum. Use the Atmegadrum Wavetable Builder to do this. Unfortunately it is only for Windows at the moment and only a Beta version. Samples must be 8 bit and mono. 8kHz is the recommended sample rate. You can use something like Audacity to convert your samples. Atmegatrons with serial numbers less than 1000 come loaded with Atmegatron software versions 1.2-1.4 (depending on age). These software versions store the patches and settings in a different manner. To make your patches and settings usable with all the latest software versions on this page, first upload the Eeprom Converter below. Upload it in the usual way via Easy Uploader. Once it has uploaded, the Atmegatron should make tone. Then upload the latest Atmegatron software above via the Easy Uploader and your unit will have the latest software plus all your patches still in tact. This only needs to be done once and is only for serial numbers less than 1000. All Atmegatron source code is open source and can be found on Github. Some audio engines are yet to be converted to the new libraries and will be added to Github in the near future once they have been converted. These are: Atmegadrum, Atcyclotron, Duotron and Delayertron. Older versions of Atmegatron audio engines are available for download here. This section is still in development. Atmegatron v2.1 Ships with all Atmegatrons with serial numbers 1000 onwards. Odytron v1.1 Some minor changes on v1.0 of Odytron. Delayertron v1.2 Source code for Delayertron. This uses the older Arduino sketch code. This will be updated to the new C++ class based system soon. Libraries for the old-style Arduino sketch code. These are Delayertron, Duotron, Atmegadrum and Atcyclotron. Delayertron: many thanks to Adventure Kid for his amazing free wavetables. Strings: many thanks to Jan Ostman for his fantastic open source String machine which provided several key functions.